Strap into the cockpit January 18 on PS4 and PlayStation VR. 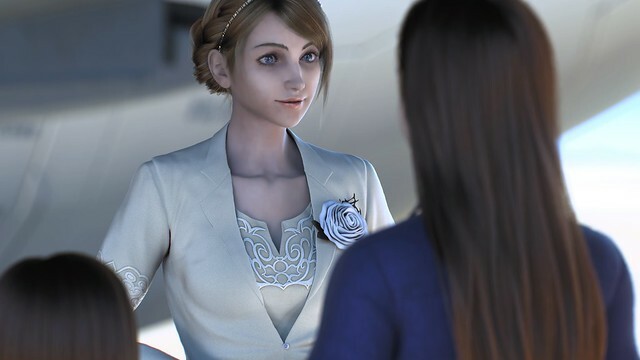 Hello Ace Combat fans! It’s time to jump back into the cockpit and feel the rush of superior air power! You are invited to climb into the most advanced warplanes ever developed and fly headfirst into breathtaking cloud-filled skies and cityscapes and experience some of the most intense aerial battles ever presented in the 20 years of the Ace Combat series’ history. And on top of that, you will also be able to feel the thrill of flight in Virtual Reality, a mode exclusively available on PlayStation 4! 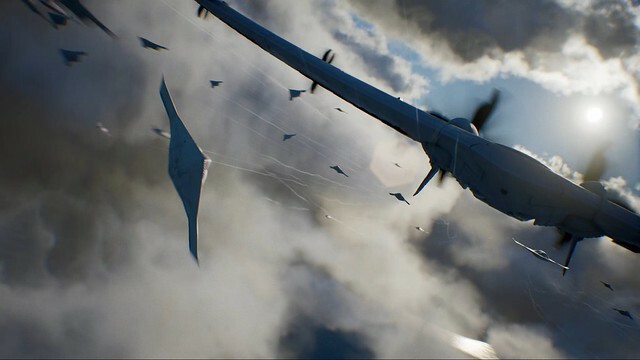 What plane are you looking forward to jumping into most in Ace Combat 7? MY FAVORITE ACE COMBAT GAME INCLUDED WITH THIS?!? How do I turn this from a Day 1 into a Day 0. I need this now! Unsung War, Razgriz, and now…this. Ace Combat 5 is going to be available on the same day has the new game? Seems a bit weird. Why not before AC7 to hype the fans up? Super strange for ac5 to release with ac7. 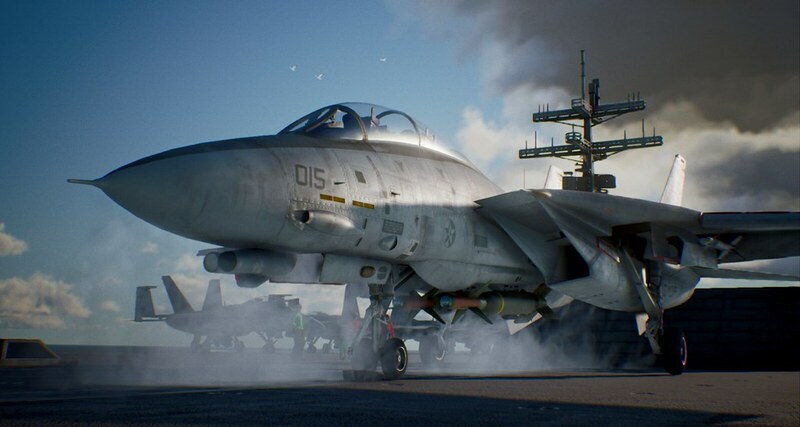 Who is going to play ac5 when they have ac7 to play. It makes a ton of sense to release ac5 ahead of ac7 to sell the game. Maybe it’s a typo. So the only way to get the plane is via digital deluxe? I assume physical versions from any retailer will have the AC5 code and painjobs for the planes. When will this go on the PSN store? I might have to cancel my physical and switch to the digital, i’d hate to not get a plane…. To correct the PS Blog, the F-104 is available for everyone in the base game. 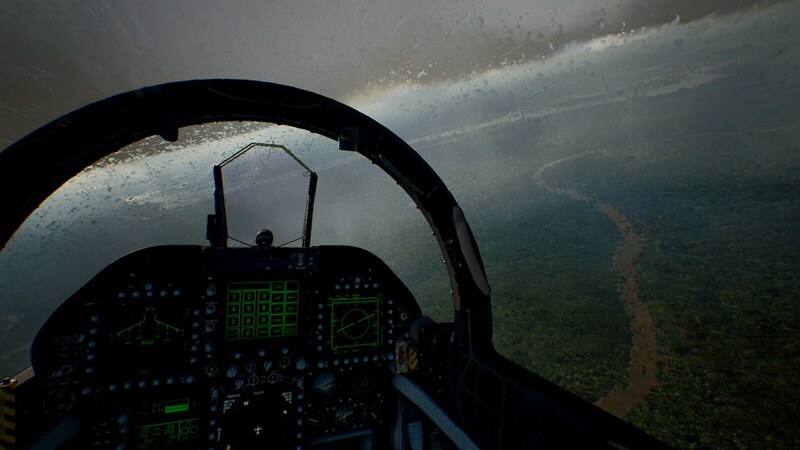 Digital copies of the game receive a special skin for the F-104. Its not even a production plane, there is more hype around that Russian piece of garbage then it’s actually worth. The Su-57 is in Ace Combat 7 already. It just won’t be in VR. Will there be a flight stick/VR bundle? I’ve been waiting for that. This looks like the perfect application for VR. Australia never got ace combat 5 on PSN. Will it also be available for Australian pre orders? Ace Combat 5: The Unsung War is known in Europe and Australia as Ace Combat: Squadron Leader. You have to check with Bandai Namco Entertainment Europe since they’re in charge of the Australian releases. Oh yeah, and that season pass is a total ripoff, so double :/ to that. This is indeed cool. I was hoping they’d release Ace Combat 04, 5, and Zero as a remastered collection but getting AC5 free with pre-order of 7 will hold me for now. Just please PLEASE tell me 04 and Zero will be available on PS4 sometime. I expect 4 and Zero will come along soon but I wonder if Ace Combat 5 is a remaster or just simply beung add onto the PS2 on PS4 list of games like GTA 3, VIce City, San Andreas trilogy. Honestly I still have a PS2 as well as a 60gb CECHA01 PS3 I can always go back and replay on actual PS2 disc. Still it would be cool to get a remaster to clean up image on HDTV. Yeah I didn’t think about that.But even a PS2 on PS4 version with trophies and sharing would scratch that particular Ace Combat itch I’ve had. My old 60gb PS3 died on me some time ago and I don’t have a PS2. Thru some form of sad sentimentality I kept my PS2 copies of AC 04, 5, and Zero. I can play them on a PC emulator but the graphics get kind of garbled. Not sure if thats due to my PC not being up to snuff or just a bad render from the emulator. So if Sony can give me a clean version that plays well on PS4 I’ll be a happy camper. Ace Combat 5 is simply being added to the PS2-on-PS4 list of games. Not a remaster. My favorite Aircraft is SU-47. Will all the solo missions will be playable with VR? it’s THE reason i’d want to play it! No. 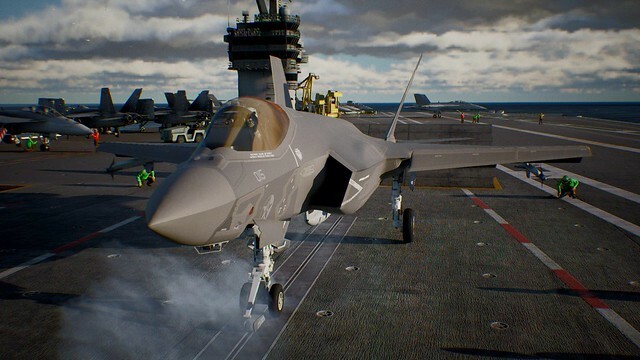 There are three exclusive missions for VR, as well as VR Free Flight, hangar viewing, and an air show mode. The main campaign and multiplayer are NOT VR-compatible. Will there Be a Collector’s Edition? There is one, but it’s only for Japan. I know for the XBox One pre-order, they have special aircraft skins that come with it: Su-37 Yellow 13, F-14D Razgriz, and F-15C Pixy. Why won’t PS4 be getting this with their pre-order? and most of all Ace combat 6 …. :( apparently we will no get this beauty. Read the blog post more carefully, it says “three aircraft skins” right next to the F-4E. The Su-37 Yellow 13, F-14D Razgriz, and F-15C Pixy WILL be on PS4 with pre-orders too. Alexiel, AC6 is an Xbox game. The Xbox crowd isn’t getting AC5 since it’s a PlayStation game. One game for each seems fair enough. knowing it will be a PS3 classics for the Unsung War, and the quality that goes with it , despite the fact it’s one of the best AC with the 2, 4 and 6 for me . basically , is there even a little chance PS4 will get AC6 ? and even xbox getting AC5 ? can’t wait too to be in january , love this saga so much. knowing it will be a PS2 classics for the Unsung War, and the quality that goes with it , despite the fact it’s one of the best AC with the 2, 4 and 6 for me . The PS4 Dynamic Theme is only if you pre-order from the PlayStation Store. Nowhere else. I pre-ordered It (not deluxe), but on the norwegian ps-store it says nothing about Ace Combat 5, nor did I get the theme. Anybody know something? This is the North America PlayStation Blog. Contact PlayStation Europe for help on the Norwegian store. 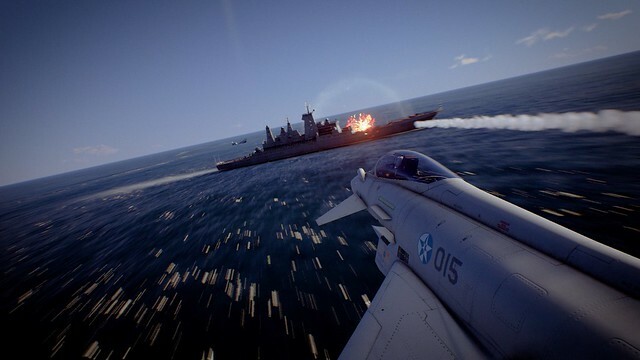 AC5 available at launch? Tbh, that is pretty dumb. It should be playable NOW after pre-ordering. 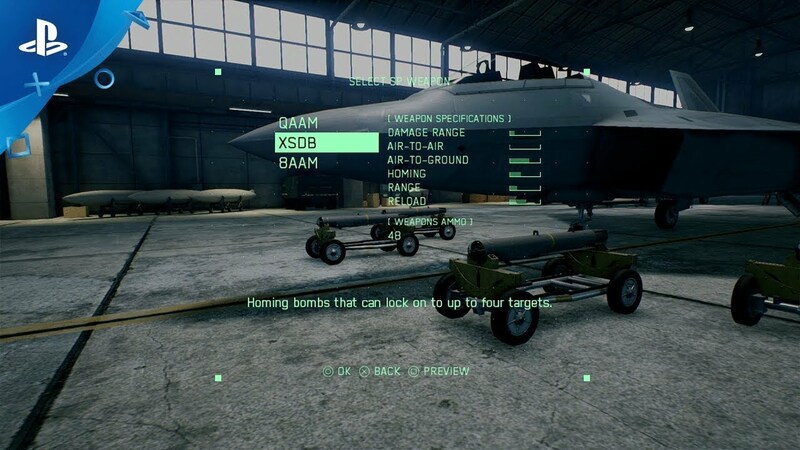 That way, we have something to kill time with and get hyped until AC7 is released. I pre ordered the game at a retailer, so if I’m reading this article correctly, I have to pre order AC7 digitally in order to get the dynamic theme? Getting a copy of AC5 sealed the deal for me… just ordered it….. countdown is on…. Somebody know when can we download ace combat 5 on ps4 ??? That’s what I’m wondering. Like the previous comments said, I sure hope it’s a typo and we do get to download it earlier before launch because that wouldn’t make any sense for both games to launch the same day. My favorite ace of combat game is the “unsung war”. Can I purchase it with out buying the ac7?